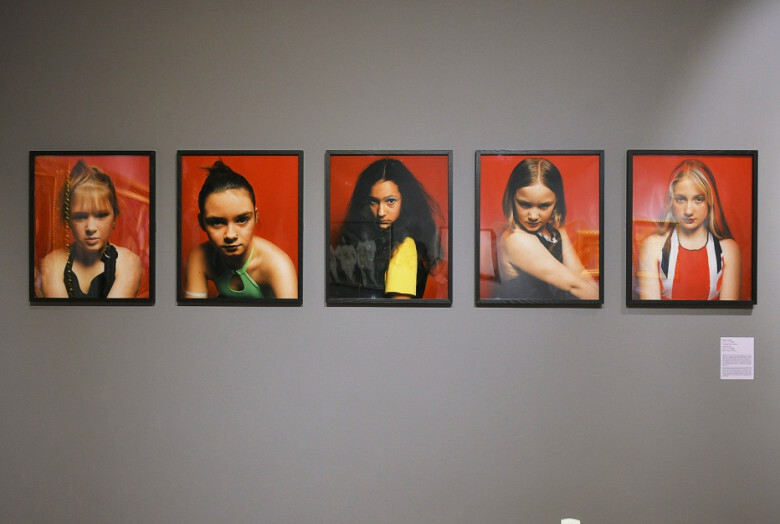 To celebrate the opening of the second exhibition of Perceptions, Woman Tailored to Society, in the Gallery of Matica Srpska in Novi Sad, Jovana Điporović, Western Balkans Projects Assistant has written about its themes and impact. The second leg of the Perceptions tour, entitled Perceptions: Women Tailored to Society? kicked off on 28 September at the Gallery of Matica Srpska in Novi Sad, Serbia. 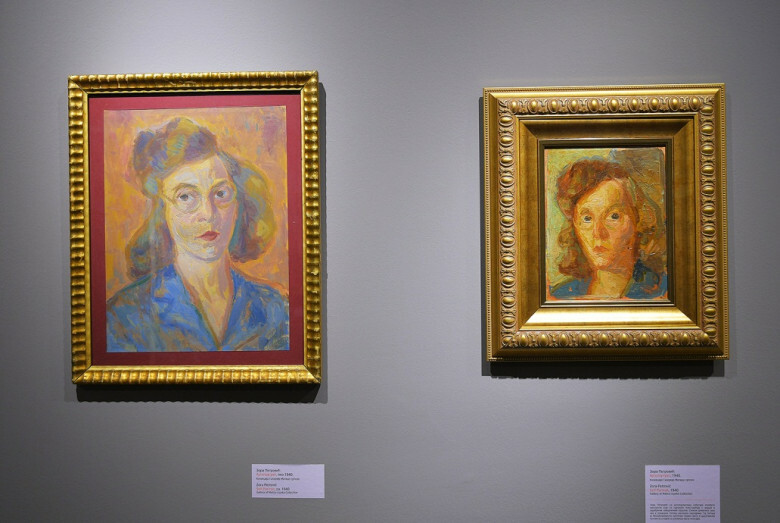 The concept of the exhibition was, quite unconventionally, to combine the works of contemporary women artists from the British Council collection (which were previously exhibited in Montenegro this summer) with 19th- and 20th-century Serbian art, selected from the Gallery’s long-standing collection. In keeping with the overarching title, this edition of Perceptions did more than juxtapose ostensibly unrelated works—it shined a new light on artworks whose interpretations have long been established, reinforcing the idea that their analysis is not set in stone. Rather, it is fluid in nature, demanding to be revisited from different points in history, within different social contexts, in order for the viewer to fully ascertain how multifaceted and timeless these works are. Indeed, it is astounding to see how many parallels there are between them, despite the fact that some were created more than a century apart from one another. That being said, the exhibition spurred a conversation that no regular museum-goer would have imagined taking place in an institution which boasts a collection of traditional Serbian art: a conversation about the ways that women in Serbia and the UK have been depicted throughout the past two centuries; the societal implications that stem from these depictions; and the traits that male artists called attention to in their paintings of women, which were often the same traits that female artists sought to challenge (or do away with altogether) in their own representations of themselves and other women. 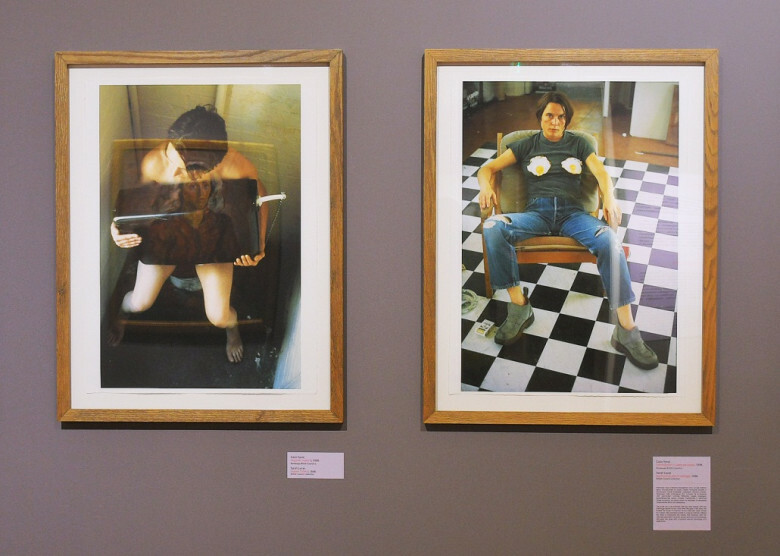 Sarah Lucas, Human Toilet (1996) And Self Portrait With Fried Eggs (1996) installation photograph © The Artist, Courtesy Sadie Coles Hq, London. The theme of the exhibition was aptly dubbed ‘women who move societies’, and dozens of distinguished women from the region were invited to the opening to celebrate female artists, to celebrate each other, and to celebrate the universality of the female experience in society. It was a pleasure to see them all come together, at a newfound confluence of British and local art, helping to underpin the importance of the message that the exhibition aimed to convey. 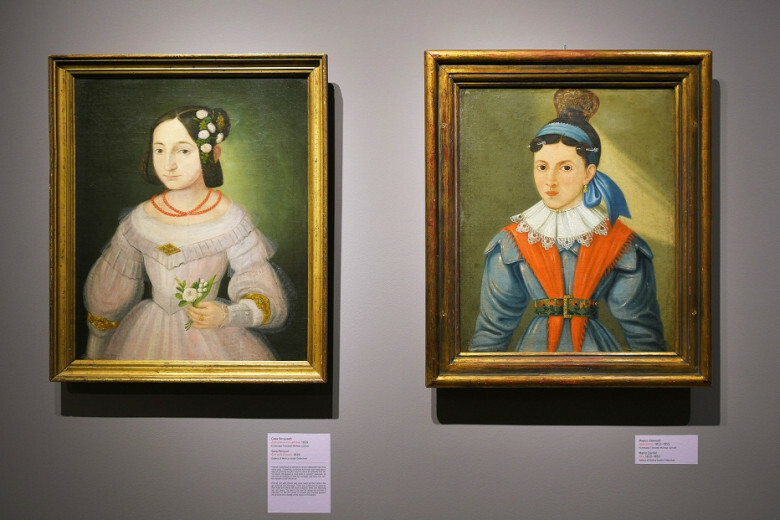 As the wardens of art and culture, museums and galleries are certainly the right starting point for important conversations to take place, and nowhere was this better demonstrable than at the opening of the exhibition. The dialogue that it started was not at all about bemoaning the objectification of the female subject throughout history, nor the lack of recognition of female artists; it was about rising above these tendencies and rightly emphasising the significance of women’s voices in art and the roles they take on in society today, as well as centuries ago; acknowledging these similarities, and highlighting their invaluable artistic contributions in both countries. The exhibition will remain open at the Gallery of Matica Srpska until 6 January 2019. 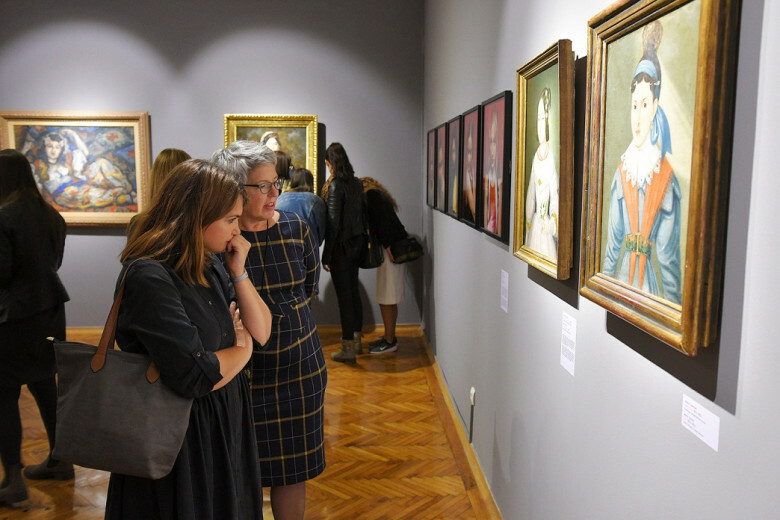 Women tailored to society and its accompanying programme was developed to encourage debate about women in art. Here is a short extract of Dr Alexandra Kokoli, Middlesex University, discussing gender and programming as part of the panel discussion, Are our collections reflecting our societies?